The Pioneer Chairman of Independence Corrupt Practice and other related Offences Commission (ICPC) Justice Mustapha Akanbi is dead. He died in the early hours of Sunday at a private hospital in Ilorin, Kwara State. after a brief illness. Justice Akanbi was also former President of the Court of Appeal and the first Wakili of Ilorin. He was appointed in 2000 as the Chairman of ICPC by the then President Olusegun Obasanjo. 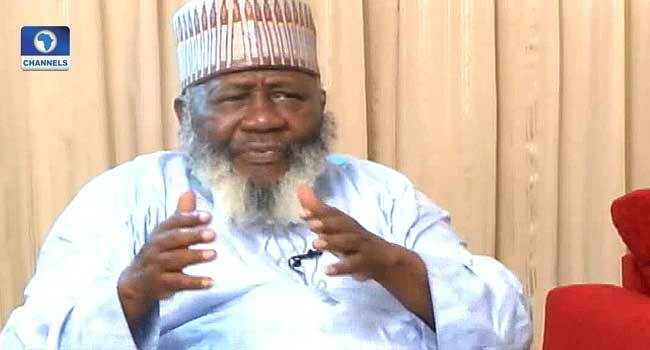 One of the children of late Mustapha Akanbi, Barrister Ahmed Akanbi, confirmed the news of the death. The Janaza prayer, according to the spokesperson of the family, will take place on Sunday morning at the deceased residence in Ilorin, the Kwara State capital. Honourable Justice Akanbi was born on Sunday, September 11, 1932, in Accra, Ghana and died on Sunday, June 3, 2018.